The Christmas Gift by R. William Bennett is a wonderful tale of forgiveness and understanding. 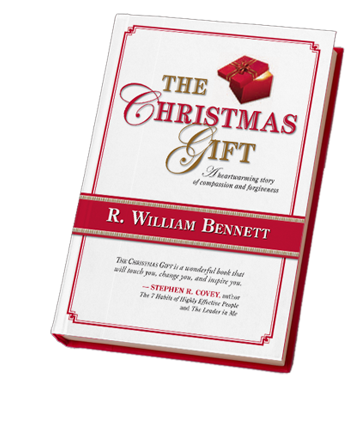 Although the actual Christmas gift is an important aspect of this story, this novel is a must-read at any time of year. I would highly recommend it not only to adults looking for an inspirational story, but also to kids who have dealt with the difficulties of misunderstandings and bullying in school. I'd say it would be appropriate for ages 10 and up as it does involve a child's death. It is a very quick read ~ I read it in one sitting within about an hour. It's short, but offers a wonderful message. For more information about the story, or to puchase The Christmas Gift, visit the author's website. This review was written based on a copy of The Christmas Gift that I received from Jane Wesman Public Relations, Inc. in exchange for an honest review. This sounds good Julie - I really missed out on picking any good Christmas reads this year.... life is just too busy! I need to get this book. My librarian was just asking me for a book about bullying and I am in search of one that will work for middle school. Thanks for the review.